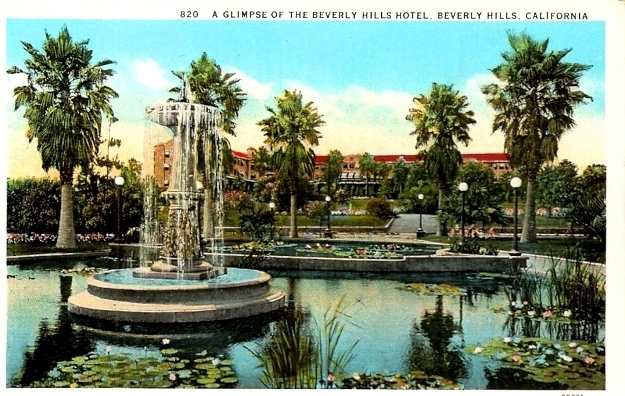 Happy 100th Birthday to a Grand Old Lady – The Beverly Hills Hotel! Did Elmer Grey know how to design a hotel or what? 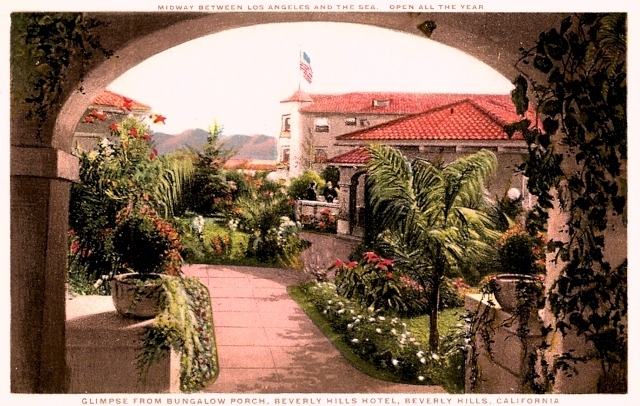 An early perspective of the Beverly Hills Hotel. I must confess I actually like this version better than the final one. A century ago, an almost absurdly large hotel rose up virtually overnight out of a former bean field in a place considered by many to be just somewhere between here and there. That place was Beverly Hills and although writers today love to say that everyone expected the venture to be a failure of the rankest order there was really never a chance of that. 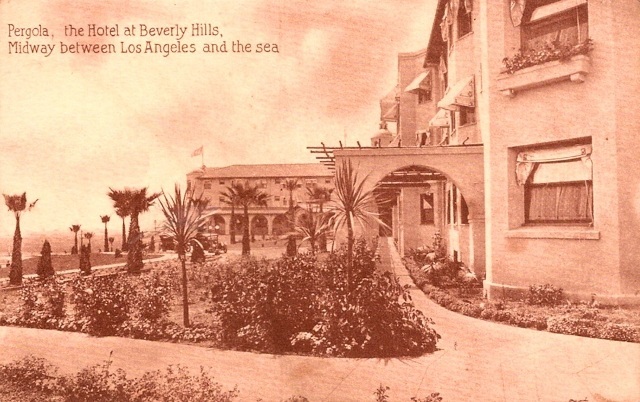 After all, Beverly Hills was between here and there and its big lonely hotel had Margaret J. Anderson and her son Stanley at the helm. Success was inevitable. Receiving its first guests exactly 100 years ago on this very day (the “official” opening was a few weeks later with a three-day gala from May 12-14), the Beverly Hills, or more affectionately, the Pink Palace, has withstood the test of time growing from its naked awkwardness in that bean field into one of the world’s most legendary hostelries with a guest register that has always bulged, and always will bulge, with names at the very top of whatever field with which they are associated. There is something special about the Beverly Hills Hotel that sets it apart, a certain magic lingering about the place that is almost palpable. While I concede that little piece of prose sounds about as purple as a hack like me can churn out, in this case it’s actually true! 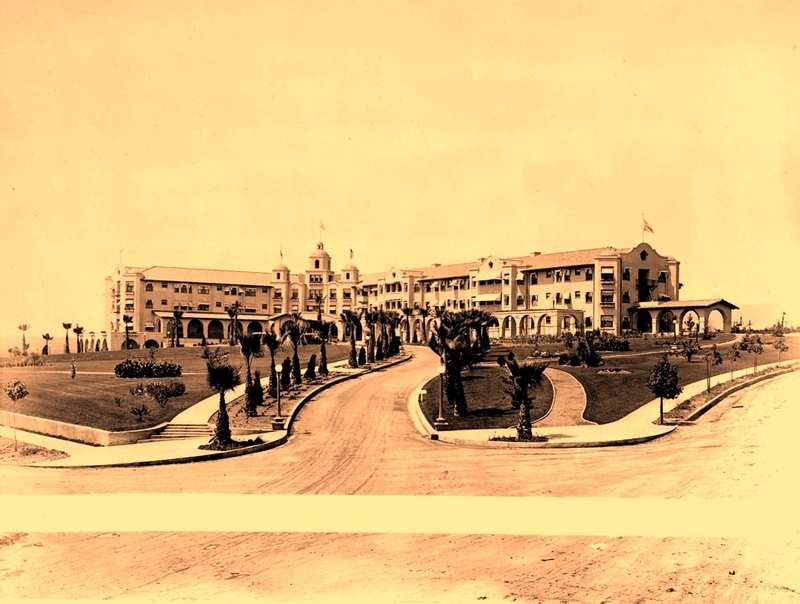 Think of the famous Southland resort hotels of 1912 that made up the impressive competition the Beverly Hills faced when it opened. How many are left today? 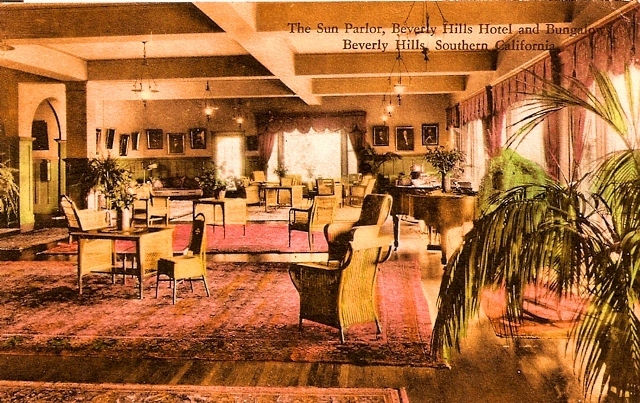 The Beverly Hills has a soul, and even if that soul, Margaret J. Anderson, is long gone physically, the spirit of hospitality with which she imbued it remains today at the Beverly Hills and likely always will remain. 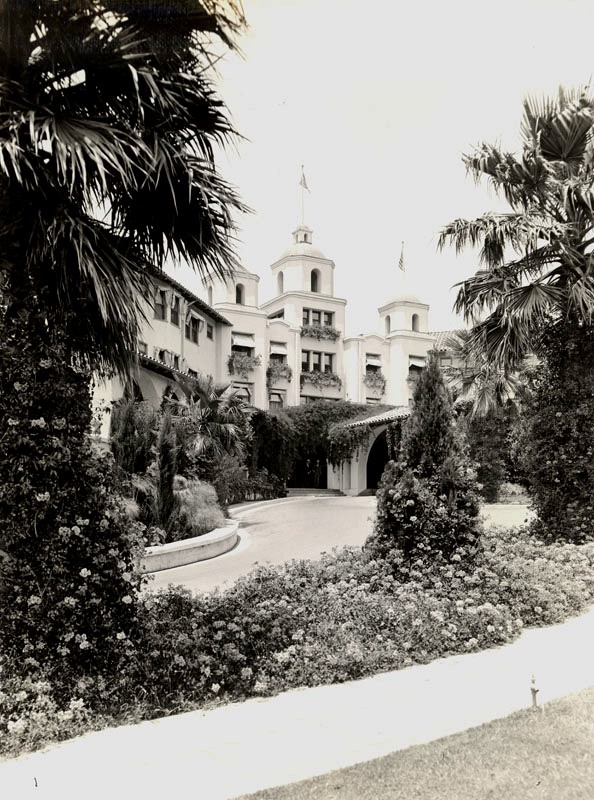 Like Nellie Coffman of the Desert Inn in Palm Springs, Mother Curry in Yosemite and Frank Miller of Riverside’s Mission Inn, Margaret Anderson transformed a mere building, nice as it was, into a home with a personality that was as warm and welcoming as the lady who oversaw it. Who knows what she had but she sure had it. And she could take it with her wherever she went. There was a war of wills going on behind the pretty facade of the Hotel Hollywood. By 1910, it had become painfully clear to one and all that something had to give at the Hotel Hollywood. 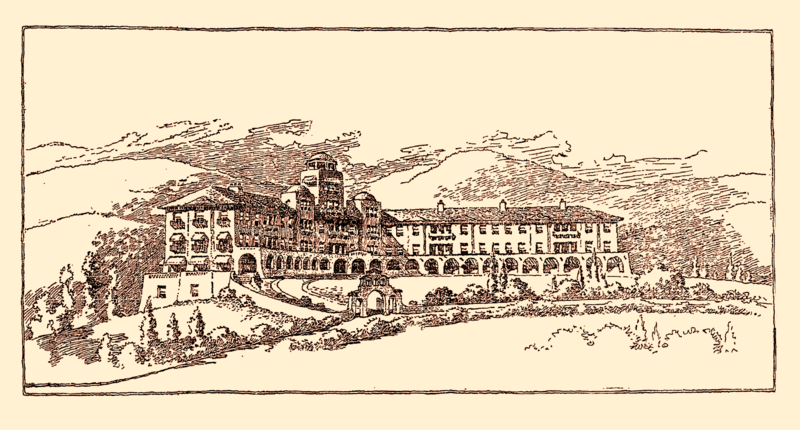 For nearly seven years, Mrs. Anderson and her son had managed the hotel with such a fine hand it had grown into one of the Southland’s top resorts with a loving, loyal and well-heeled clientele who came to stay at the hostelry as much for Mrs. Anderson’s hospitality as for the charms of the pretty hotel itself. 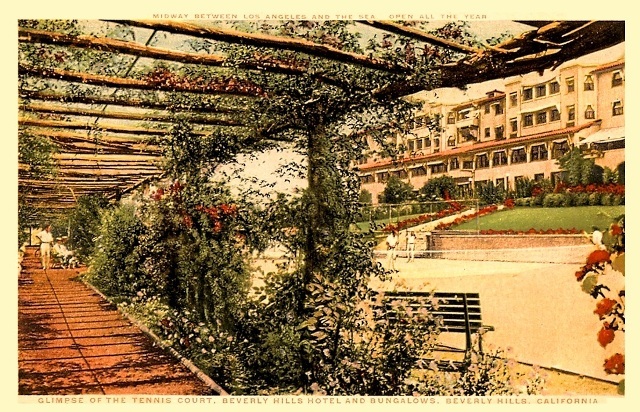 Throughout this time, Anderson had skillfully juggled the twin responsibilities of keeping not only her guests happy, but also the hotel’s indomitable owner, Almira Parker Hershey, as well with the former invariably being a much easier task than the latter. Fellow Iowans, Anderson and Hershey had a long history together with Anderson having worked her way up through the ranks at some of Hershey’s other hotels such as the Fremont and the Darby. Yet in spite of their regular differences of opinion there had always been a mutual respect between one another, however grudging, that resulted in a better hotel. This started to fall apart a few years into the lease, however, until by 1910, things had disintegrated to such a degree their disputes were taking on the form of court filings. 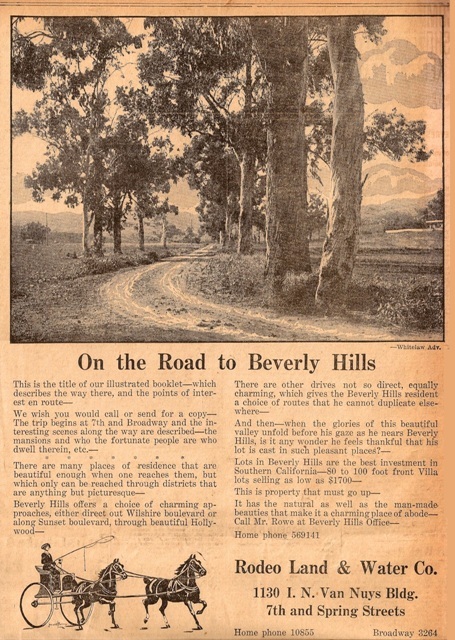 It was then Burton E. Green and his fellow Beverly Hills developers at the Rodeo Land and Water Company seized the moment, making Anderson an offer she simply couldn’t refuse – Switch over to Beverly Hills. We’ll build you a hotel and you can own it outright if you promise to run it for a period of years. The terms provided were so favorable to Mrs. Anderson that only a fool would turn down that offer. Mrs. Anderson was no fool. 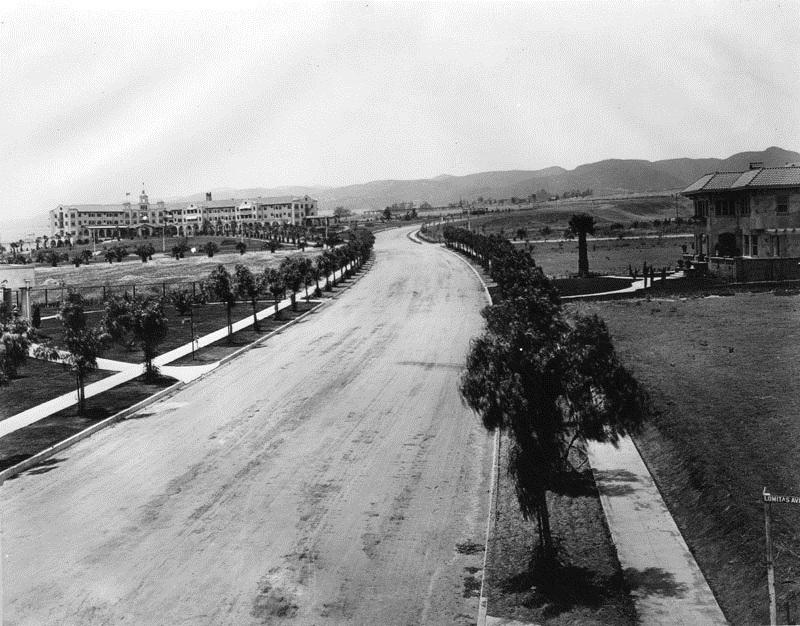 The Beverly Hills Hotel in the final stages of construction. Early 1912. 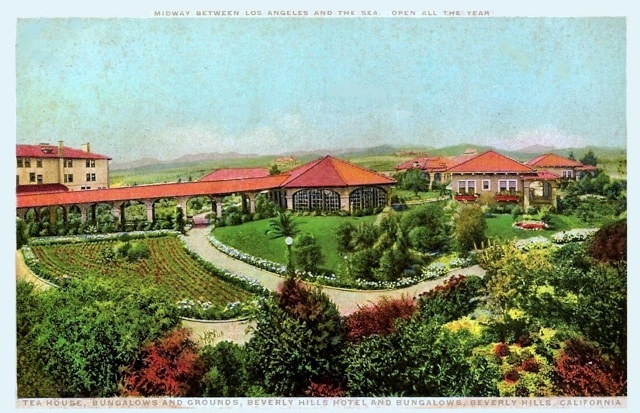 When the news broke that Margaret and Stanley Anderson would be defecting over to an as-yet-unbuilt hotel in as-yet-largely undeveloped Beverly Hills the second their lease was up on the Hotel Hollywood, the atmosphere between the Andersons and Miss Hershey went from chilly to frozen with each side stealthily making their own preparations. For her part, Ms. Hershey had already lined up a brand new manager, Orville C. Howland, to take Anderson’s place. In engaging Howland, however, Ms. Hershey apparently neglected to fill him in on a few critical pieces of back story. As such, poor Howland, an innocent in the midst of war, naively blundered into the lobby of the Hotel Hollywood one day and announced to the staff he was soon to be their new boss and would love to get information on the place. He nearly succumbed from hypothermia from the freeze-out. Yet as poorly as the visit went, Howland did learn quickly he would need to engage an entirely new staff and have them at the ready as the current one had clearly staked their loyalty solidly behind the Andersons. As it would turn out, it wasn’t just the staff who were planning to defect. 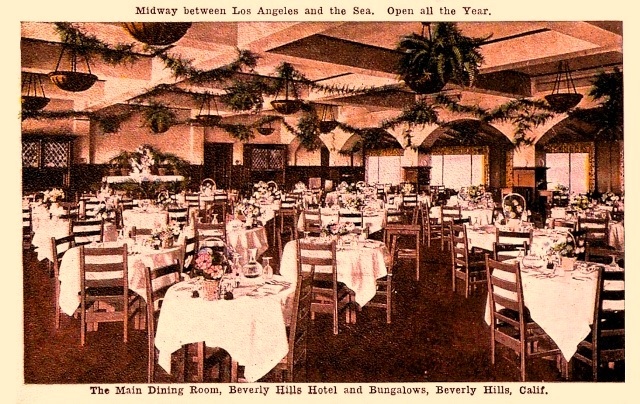 Monday, April 29th, 1912 started as any other day at the Hotel Hollywood with its nearly 200 guests enjoying breakfast per usual in the hotel’s charming Mission-style dining room. After finishing their meals, however, the guests began swarming out en masse with moving vans at the ready, lined up and winding all the way out of the semi-circular drive onto Hollywood Boulevard. And after doing the final cleanup, the staff of managers, clerks, maids, telephone operators, bellhops, cooks, waiters, gardeners, mechanics and maintenance crews packed up and took off as well. 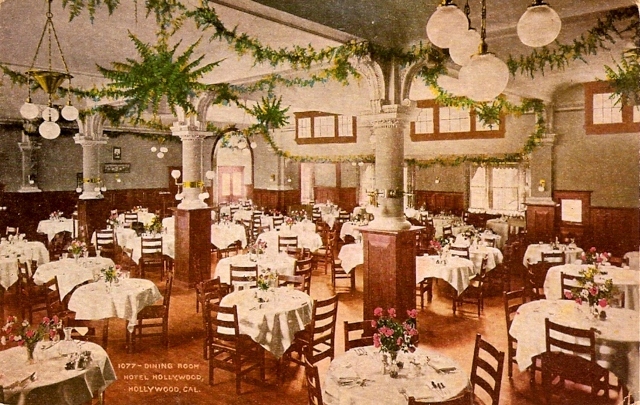 The disgorging of the hundreds of occupants of the Hotel Hollywood was carefully observed by new manager Howland from a position across the street and he too had moving vans parked at Highland and Hollywood, letting it be known that anyone wishing to stay at the Hotel Hollywood would have free use of the vans to store their possessions until the day after next. You see, Ms. Hershey, in a fit of pique, had ordered everyone, loyal or not, out of the hotel from 6:00 AM on Tuesday, April 30th to 12:00 on Wednesday, May 1st, as a way of “cleansing” the place of its undesirables. This, of course, put loyal guests in a serious conundrum. They had two choices (1) stick their possessions in a van on Highland and figure out what to do for 18 hours or (2) stick their possessions in a van on Highland and head off to the Beverly Hills Hotel. 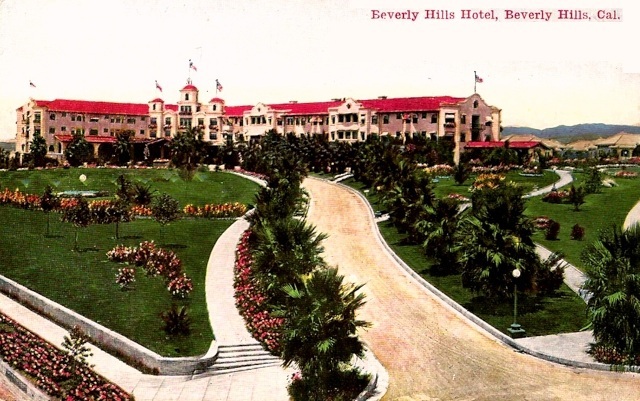 For most everyone the choice was pretty simple and in what must have looked like the Israelites fleeing Egypt, the dust-kicking caravan of guests and staff made their way steadily westward down Sunset towards their new promised land, the Beverly Hills Hotel. And lunch here...Even the plants look the same. But no ragged exodus was this. It was a skilled manuever planned and timed with impeccable accuracy by Mrs. Anderson and her son, Stanley. As the caravan began to alight before the bandbox new “Hotel at Beverly Hills,” the staff, already well-trained and well-rehearsed, immediately swung into action, taking up their duties at their new posts as if nothing at all had changed, that is except the building itself. Luncheon was served in the hotel’s charming Mission-style dining room right on schedule and as the guests contentedly dined downstairs, upstairs and out in the bungalows, maids and movers were busily unpacking the guests’ belongings. 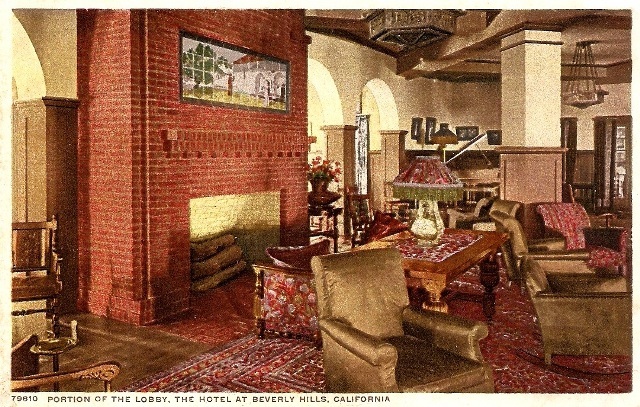 By the end of lunch, guests “returned” to their rooms for the first time and all was well at the Beverly Hills Hotel. And so it remains today. 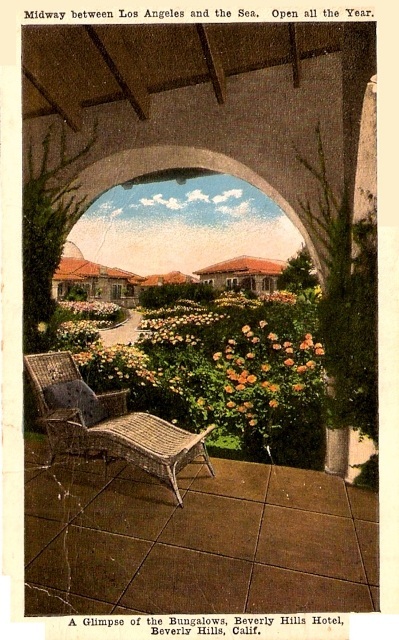 To help celebrate the Pink Palace’s 100th Anniversary, please enjoy a brief tour via some old, old postcards. Elmer Grey's decision to have an unroofed pergola running the entire length of the facade not only brought in lots of sunshine it earned much praise from the architectural press. In 1915 Mrs. Anderson brought in Frank Meline to add 5 additional bungalows and a tea house to the rear grounds. 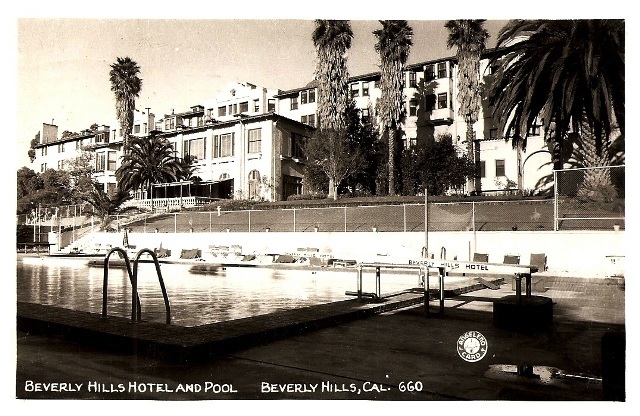 When it was first built, the Beverly Hills Hotel had no swimming pool, but it did have two tennis courts. By the 1930's, a huge swimming pool had taken the place of the former tennis courts. 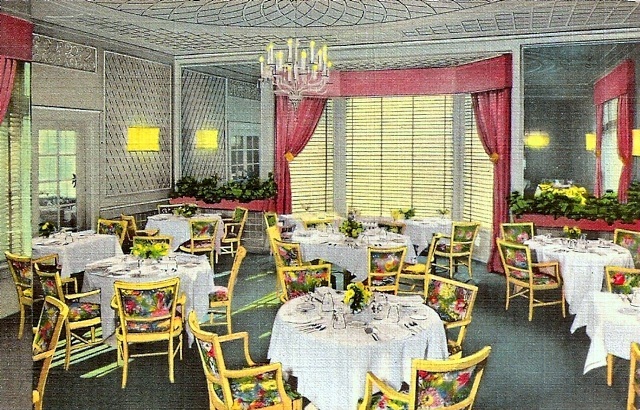 This was the Arbor Room, a 1940's dining choice at the hotel. And this was the 1950's era Persian Room. Designed by Don Loper. It made its formal bow on February 2, 1955 and lasted until 1983. P.S. The Hotel Hollywood recovered from the loss and went on to even greater fame over the next decade and a half as ground zero for the invasion of Hollywood by those movie people. For a time both the Hollywood and Beverly Hills prospered equally, but by the end of the 1920’s, the Hollywood was beginning to fade fast until it finally faded away completely and demolished in 1956. A terrible loss of priceless history going with it. The Beverly Hills, however, is still going strong and still making history. Happy Birthday Pink Palace!!! 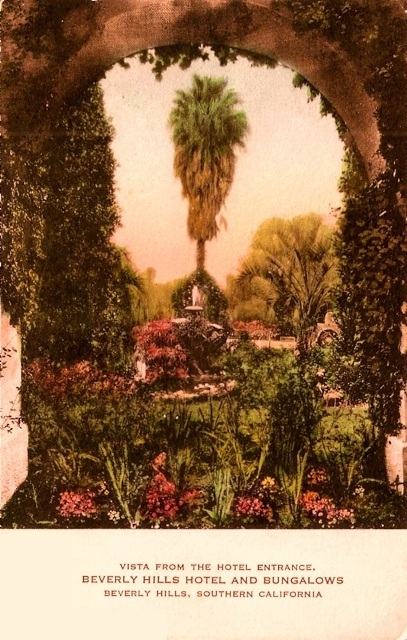 This entry was posted in Beverly Hills and tagged Almira Parker Hershey, Arbor Room, Beverly Hills, Beverly Hills Hotel, Burton E. Green, Don Loper, Elmer Grey, Frank Meline, Hollywood Hotel, Margaret J. Anderson, Orville C. Howland, Persian Room, Rodeo Land & Water Company, Stanley S. Anderson. Bookmark the permalink. 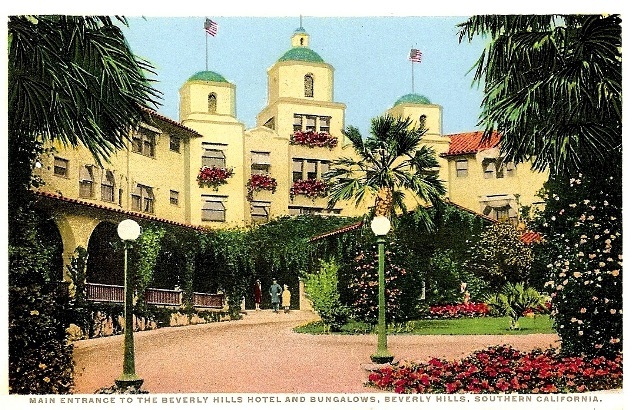 15 Responses to Happy 100th Birthday to a Grand Old Lady – The Beverly Hills Hotel! 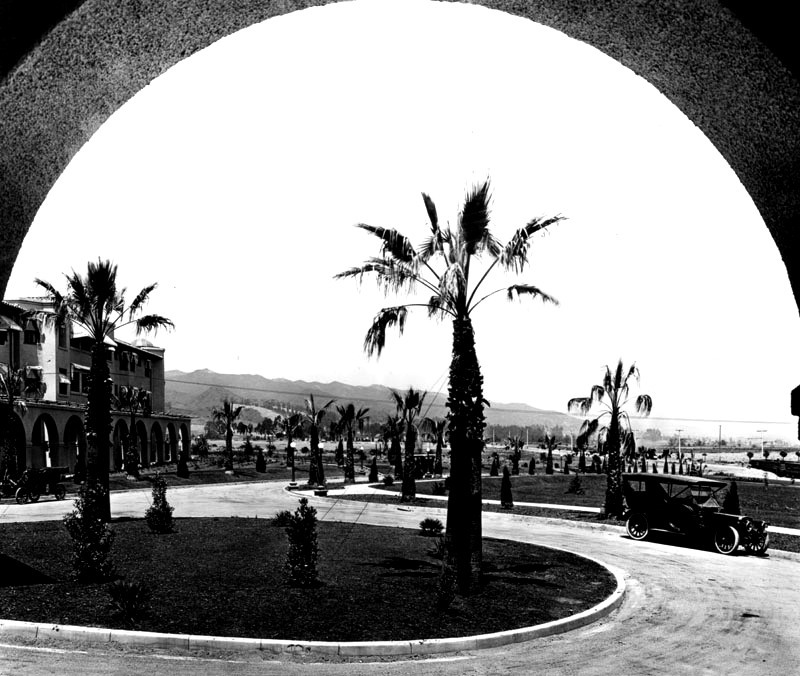 The hotel appears in the 1926 Francis X. Bushman Jr. film DANGEROUS TRAFFIC, with exterior shots, though the film is supposed to be set on the coast. Cool info. Thanks Mary! I’ll bet there have been dozens of films shot there, don’t you? I wonder if anyone ever got a close-up of the mural in the Persian Room. Would sure love to see the detail. or, if the artist is identified anyplace. GREAT tribute! Good question. Maybe some more pictures will pop up. I guess every hotel felt they needed to have their own “Persian Room” after the Plaza. I know the Sir Francis Drake in SF had one back in the 1930’s. 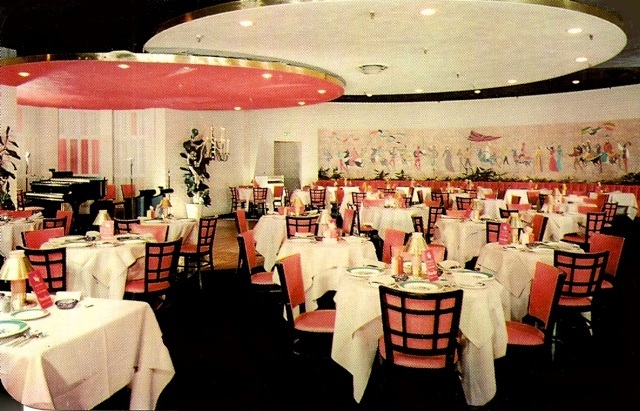 The Beverly Hills Hotel’s Persian Room was a DON LOPER original and I assume he did the murals himself too. It was an $80,000 reworking of the hotel’s former Palm Terrace and took only 18 days to complete. I guess that’s how long it takes to hang three giant disks from the ceiling! It opened on February 2, 1955 with a gala event where everyone danced to Chick Floyd and his orchestra. It lasted up until 1983 (the room not the party, that is) when it was reworked yet again, this time into the “Sunset Room.” What do you suppose became of the murals? Not the dumpster, I hope! I think I’ll add some of this to the main post. Thanks Steven! What a great and fun story! Loved the old postcards. Thank you for sharing this. Thanks Carol. Me too! The interior sure has changed a lot. 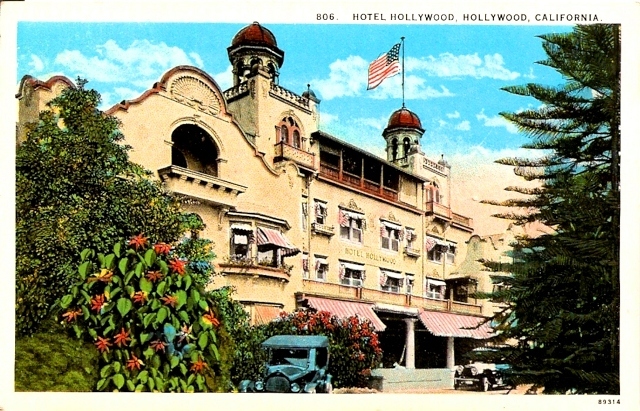 Do you have more pictures of the Hollywood Hotel? Would love to see them too. I do have some and I’d like to do a post on it at some point. The Hollywood Hotel is one of my favorite historic places in Hollywood, that’s for sure. Another fascinating post Steve! The BHH tennis courts appear in the 1917 Mack Sennett comedy Teddy at the Throttle, with Gloria Swanson and Bobby Vernon. Chaplin filmed on the BHH grounds for The Idle Class (1921), as well as throughout the grounds of Sunset Park (now Will Rogers Memorial Park) across the street. The front lawn of BHH plays a “country club” in the Harold Lloyd pictures A Sailor-Made Man (1921) (which also features Sunset Park), and Why Worry? 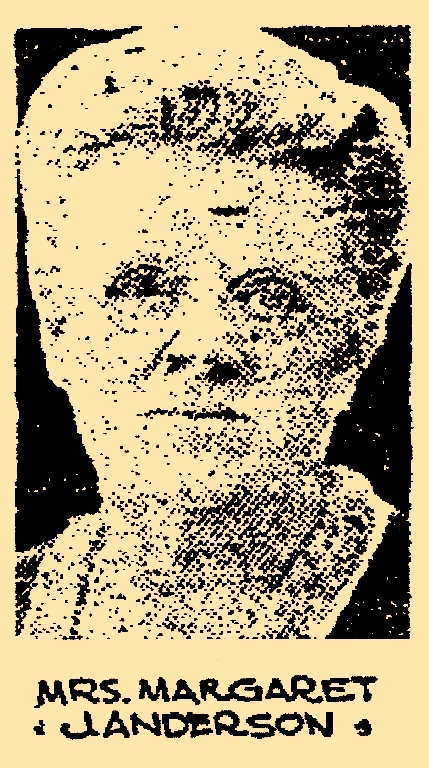 (1923). Your true appreciation and enthusiasm for L.A. architectural history (and the personalities behind the buildings) makes this blog a real joy to read. You sure made my day. Thank you! Thank you! 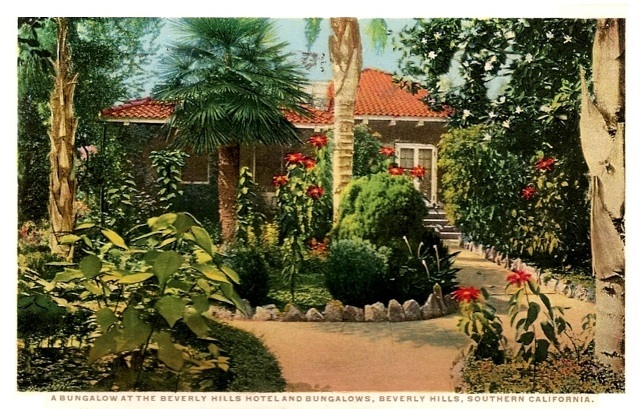 I have been to the Beverly Hills Hotel countless times over the years. Here is a video tour I made of it on January 1, 2013.